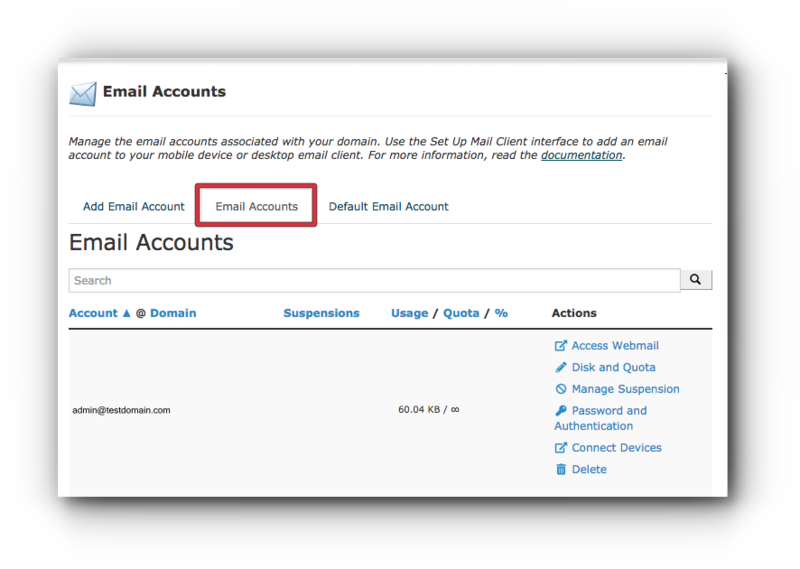 If you want to have an email account inaccessible without deleting it, you can suspend it and later on unsuspend the account. 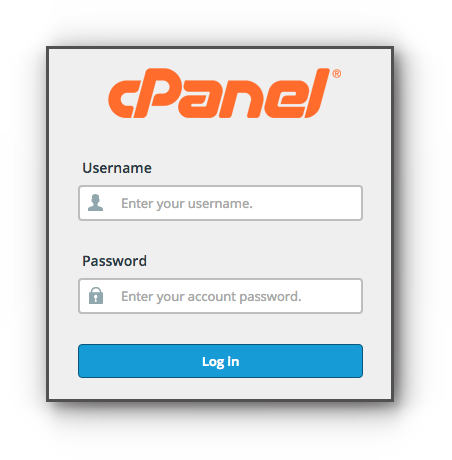 Learn how to suspend and unsuspend email account through the cPanel by following the instructions below. Step 3. Email Accounts tab, look for the email address you want to suspend. Step 4. 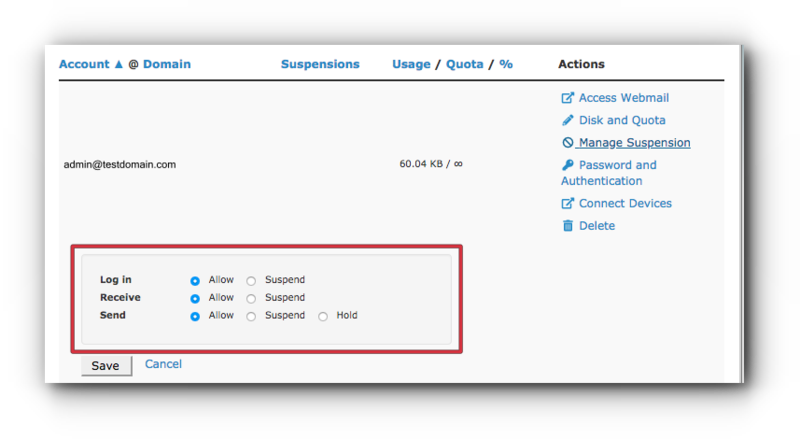 Click Manage Suspension. If you wish to reverse the process and make the email account work again, use the same steps and select the “Allow” option.